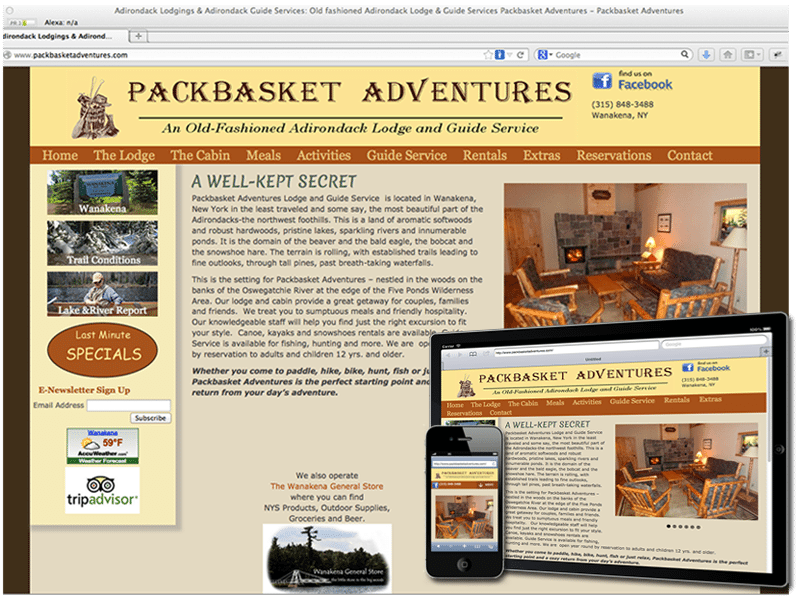 About the site: Site redesign for adirondack lodging and guide service located in Wanakena NY. Site includes a content management system, reservation request forms, room availability calendars and blog. The site is a responsive design site making the site optimized for viewing on all screen sizes and mobile device types. Click here to get back on top.